The Nike+ Running App, with millions of active members, has been guiding and motivating runners since 2006. Nike asked us to create a killer feature around music. We asked, what if we treated music like a metronome, helping runners keep pace, and over time run faster? We created the first Pace Station prototype, combining the Nike+ Running App with Spotify playlists powered by Echo Nest. Incorporating data on beats per minute, artist, and genre for more than 30M songs made it possible to generate an endless number of custom playlists based on the user’s pace goal and musical preferences. In an attempt to motivate our runners, we partnered with the world’s largest music provider. 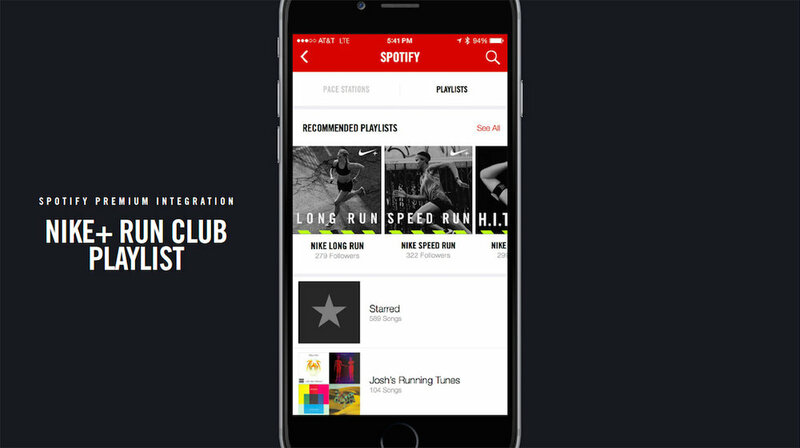 Runners can browse through recommended playlists, depending on their running preferences. Leveraging music to enhance running performance and achieve their target pace.